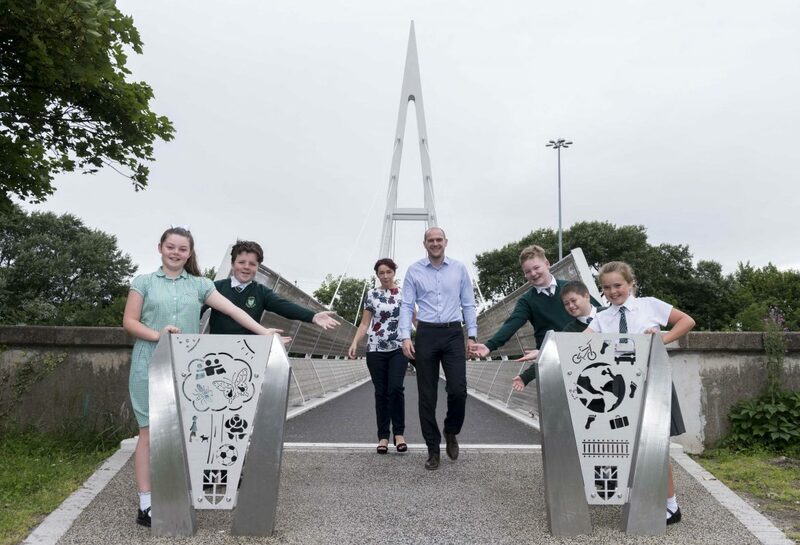 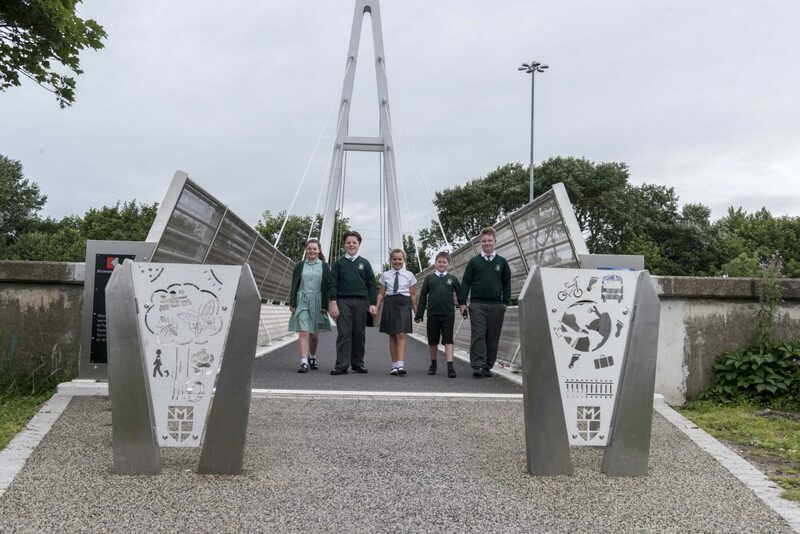 Children from Malvern Primary School in Huyton put on their creative hats to design permanent pieces of artwork that mark the entrance to the new Greystone footbridge. 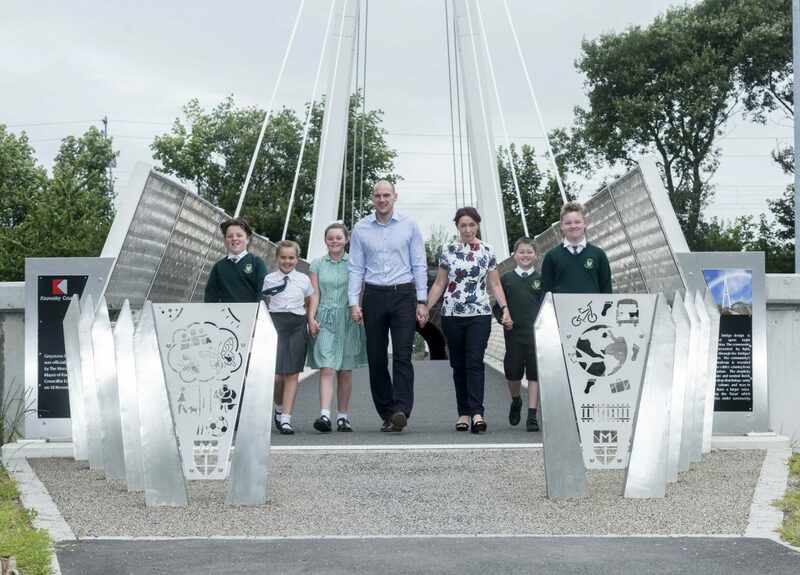 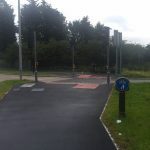 The Year 6 pupils were involved in a creative session led by Mouchel Consulting, who worked with Knowsley Council to create the design for the new footbridge. 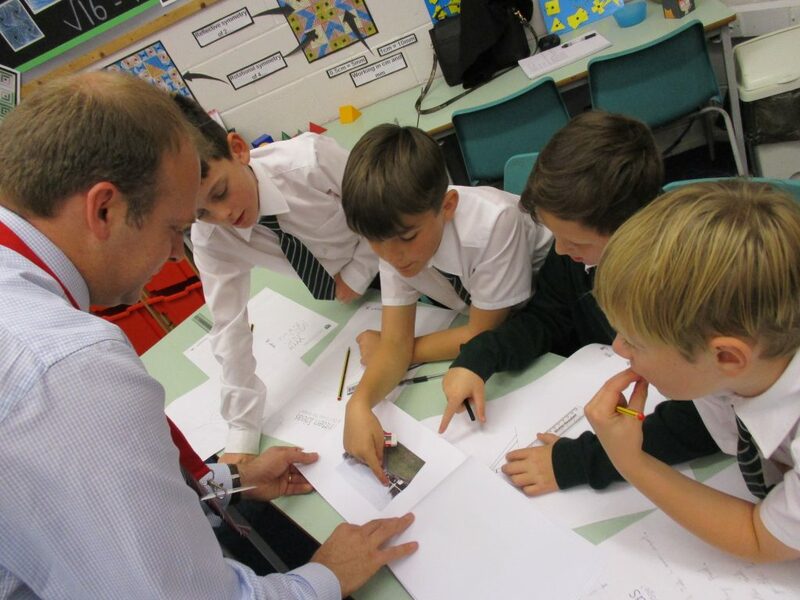 The children also learned about the design process for the new bridge and how the final design was developed. 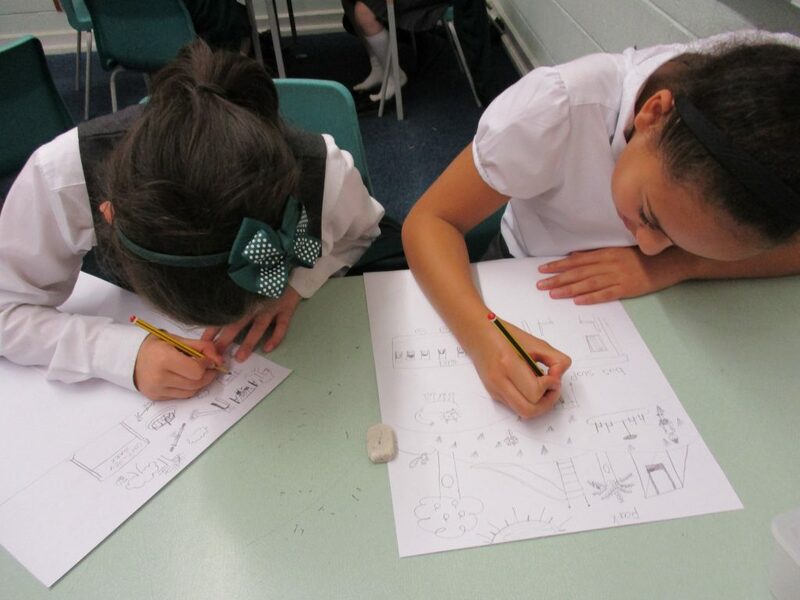 They were asked to think about why they would need to cross the bridge and then worked together in groups to talk through their ideas and put them into pictures. 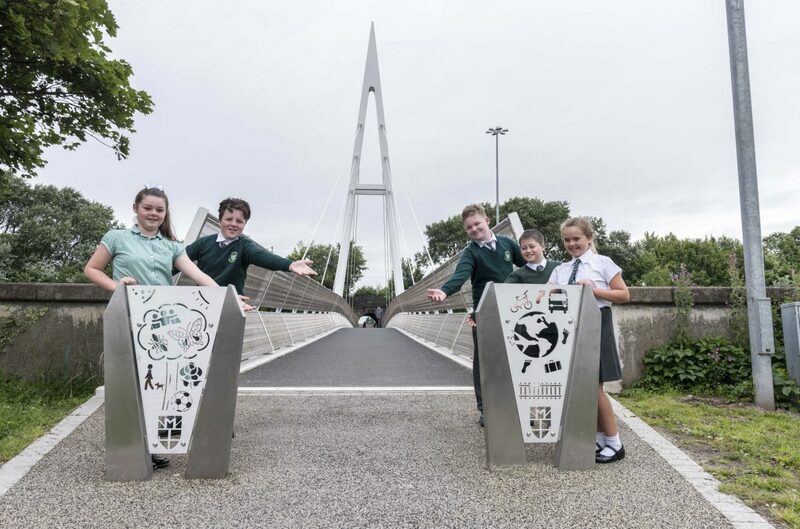 The children were really enthusiastic about the new bridge, asking questions about the old and new structures and commented that the new bridge is “beautiful” and a “real improvement”. 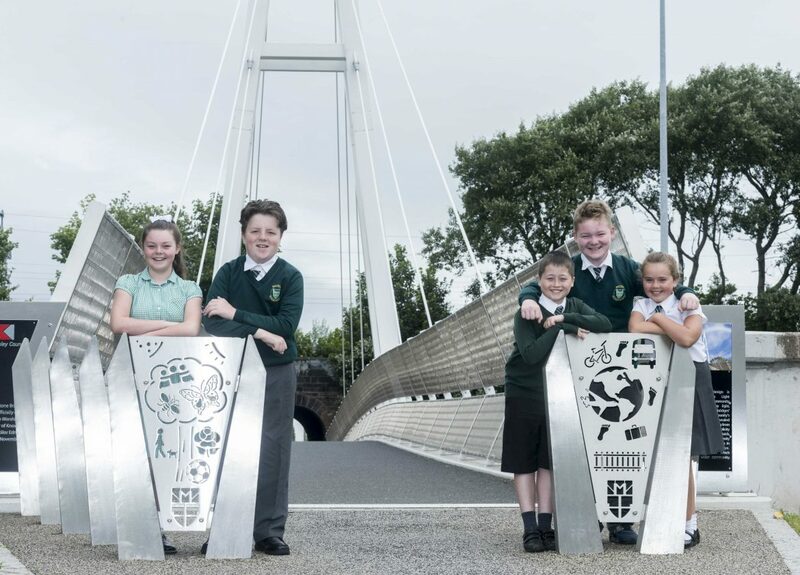 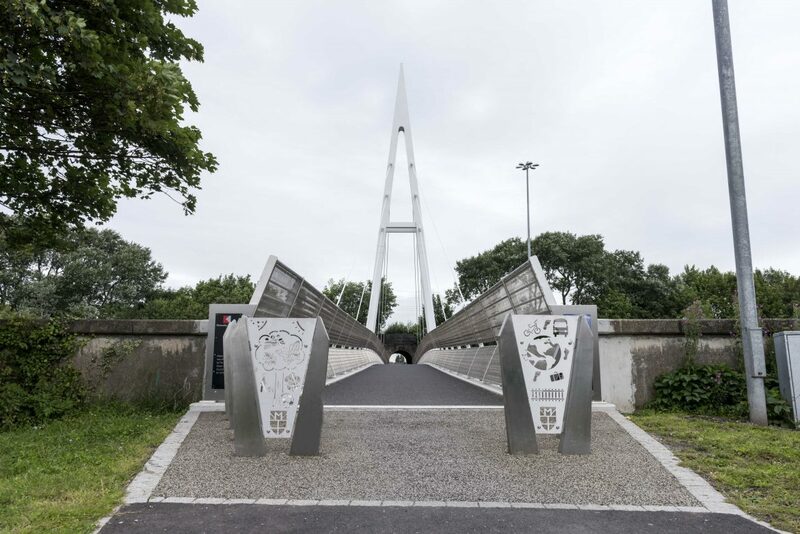 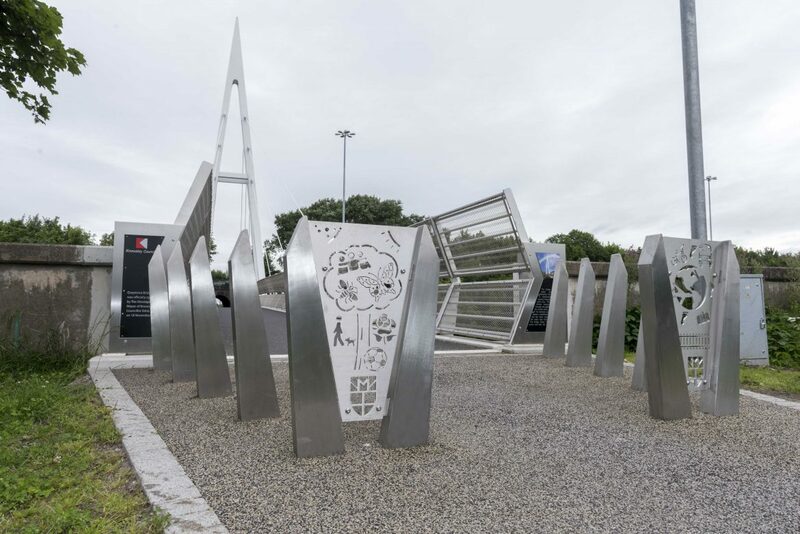 The ideas generated by the children were incorporated into the final artwork design for two panels that mark the entrance to the footbridge on Roby Road. 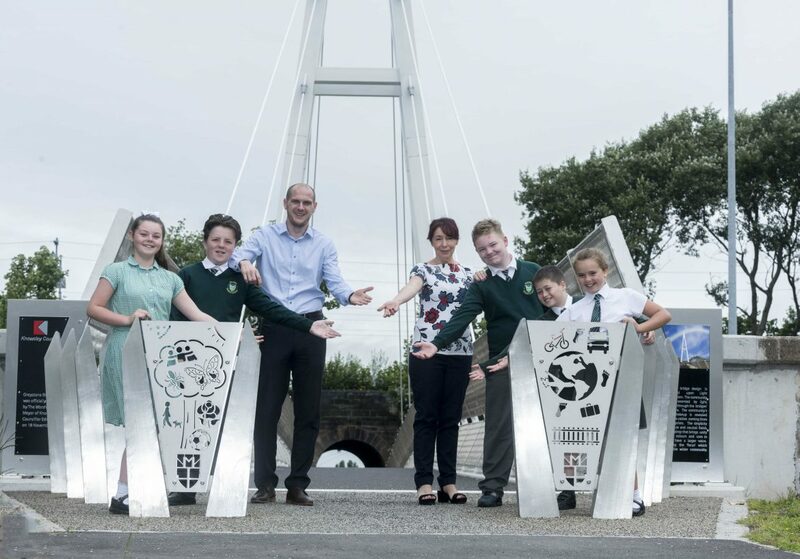 Cllr Christine Bannon, Ward Member for Swanside, met with some of the children involved and their teacher, Stuart Morland. 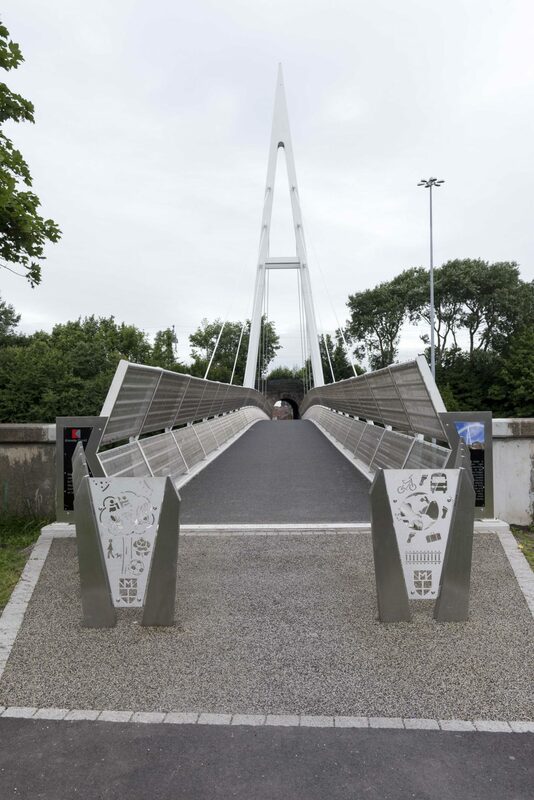 The new Greystone footbridge was opened in November 2015, following the demolition of the old ‘sausage bridge’ – find out more about the story of the new Greystone footbridge.